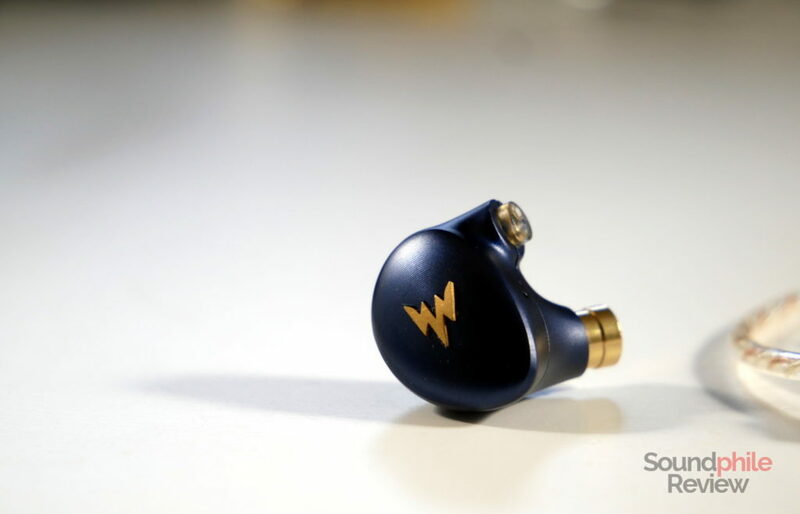 The Whizzer Kylin A-HE03 are among those in-ear headphones that bet a lot on their appearance, with refined design and premium materials that make them appear as costly products. Whizzer did not forget to include a rich set of accessories that is more usual in higher-tiered products than in the (relatively) affordable range the Kylin resides in. 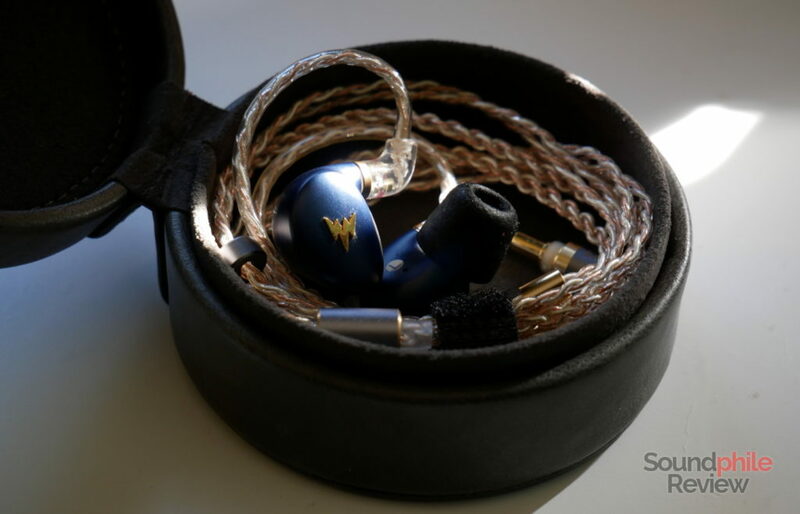 The sound signature is not on par with the exterior, though, as the Whizzer Kylin A-HE03 is not among the more capable earphones on the market and has a few tuning choices that make them peculiar. Disclaimer: this sample was provided free of charge by Linsoul Audio. They sell it on Amazon at $160. The Whizzer Kylin A-HE03 comes in a huge box made of cardboard that holds the earpieces, the cable (which is held together by a Velcro strap, unfortunately not secured to the cable itself), a set of two foam eartips, a set of three silicone tips and a hard case. The latter is one of the most interesting accessories, as it is padded in faux green-gray leather and appears rather large, but it is actually small on the inside due to all the padding. The earphones fit, but the additional eartips don’t – so you can’t carry more around, which is a lost opportunity. It is very well made, though, and it looks like a case made for headphones in much more “premium” tiers. I can only complain about the fact that padding is actually exaggerated: the case is 4.5 cm tall, and there is just 3 cm available inside – the remaining 1.5 cm is wasted in unnecessary padding. One thing’s for sure – the earphones will be well protected inside there! Whizzer surely paid a lot of attention to design and build quality. This attention results in an unusually refined product, one that seems definitely premium and belonging to a higher category. The shells, made of aluminium, are precisely crafted, with a smooth finish that is almost soft to the touch (it’s not really soft. It’s metal. I t’s hard.). They’re black, red or – as in my case – blue, with Whizzer’s stylised “W” in gold. 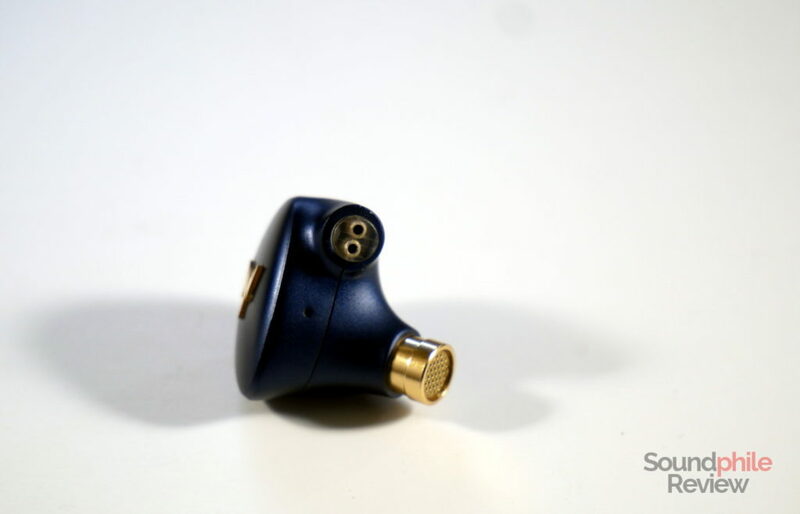 The shape is roughly triangular, with a small protrusion that holds the 2-pin connector (which ends up being vertical when wearing the earphones). All edges are smoothed out while still being present: this creates an odd contrast of shapes, also present in the fact that there are no completely flat surfaces on the earphones. The overall effect is really good and is complemented by fine details such as the grooves on the faceplate (which you can catch a glimpse of in the picture above). Build quality is stellar and the Whizzer Kylin A-HE03 are among the best I’ve found in this sense under $200. They’re not flawless, but they’re really great. Not only is the choice of materials a good one, but the way they were worked is also good. The shape is good for comfort: the Kylin are shaped so that I can wear them for a few hours before feeling any discomfort. This is strictly subjective and personal, of course, but I guess that the relatively small size and the curves in the design make the earphones comfortable to a wide variety of people. 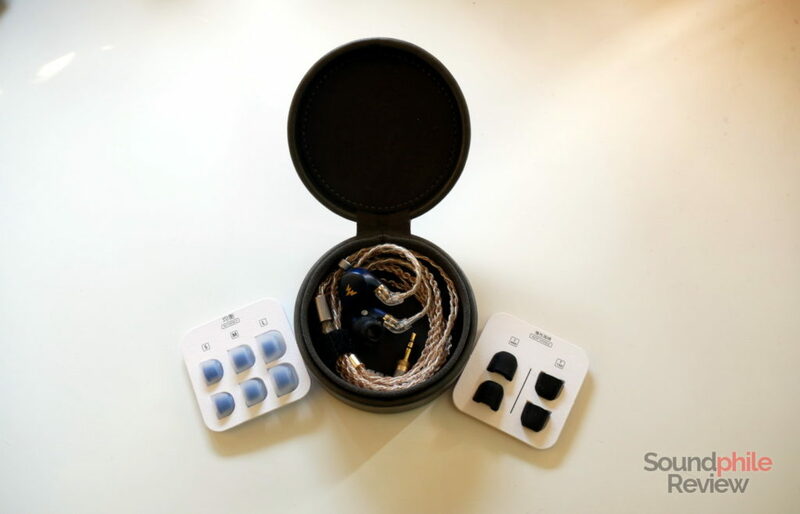 Although many IEMs are good for mobile listening, not all of them are. The Whizzer Kylin A-HE03 belong to the latter group, as they offer almost no isolation. They can’t isolate you enough to leave the surrounding noise out, therefore forcing you to raise the volume to hear music correctly. Isolation is so poor there is little difference between wearing the earphones and not doing so. The cable has four cores total, which then split in two groups of two; between the jack and the Y-split they are braided, while after the split they are twisted. The cores are bright copper red in colour as the plastic sheath is fully transparent and exposes the materials inside. 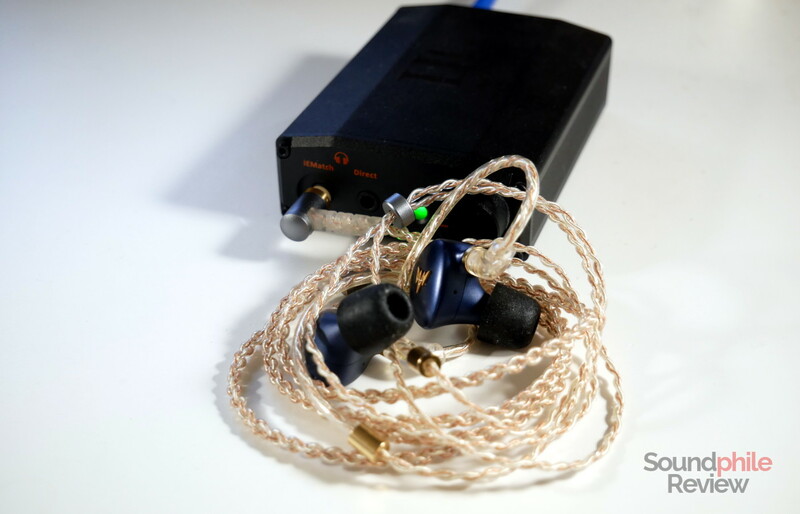 The ear hook adds another layer of transparent plastic that covers the final part before the 2-pin connectors; on the other end there’s a small cylinder that seals it. The plastic keeps its shape, but as it is still malleable it is comfortable to wear. In order to test the Whizzer Kylin A-HE03 I used a Topping DX7, an iFi nano iDSD Black Label, a Cayin N5ii and an xDuoo X10T II feeding an RHA Dacamp L1. I also used an iFi IEMatch. Source files were standard-res FLACs for the most part. Roughly 100 hours of break-in were applied. The Whizzer Kylin A-HE03 uses a single dynamic driver coupled with two balanced armatures. The impedance is low and the sensitivity is relatively low too, given the driver setup; the sensitivity does not prevent the earphones from sounding completely fine even without a dedicated amplifier (e.g. with the output from a phone or a computer). The sound signature is somewhat V-shaped, with mids being very warm and treble being especially emphasised in the lower range. Bass is, however, the main ingredient in the recipe, as it is often overly prominent and even overwhelming at times. 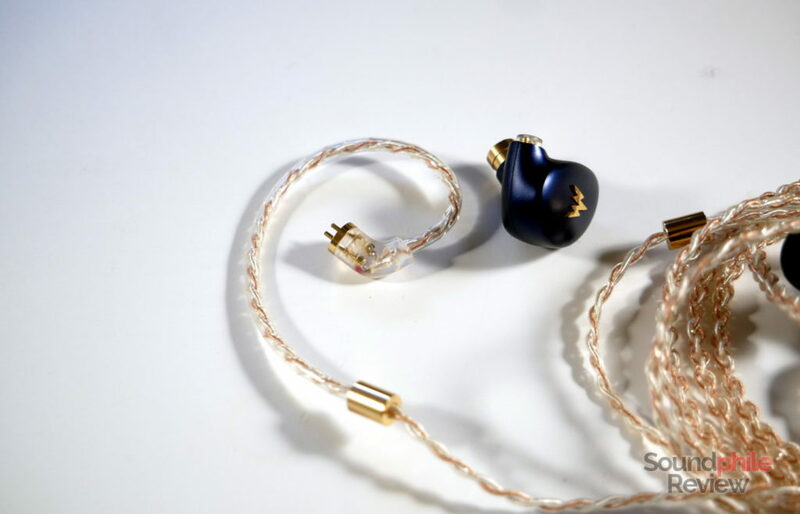 Alas the Whizzer Kylin A-HE03 are not the best earphones around when looking at their technical ability. That’s because they offer a soundstage that is not really extended nor deep, and makes the sound a bit congested and looking as if it came from inside one’s head – instead of making the instruments sound as if they were somewhere around the listener. This makes everything sound a bit closed and squashed. Luckily, imaging is more than acceptable, though it has to make do with the limited soundstage and the result is therefore not thrilling. Instrument separation, on the other hand, is decent enough and counterbalances the limited soundstage a bit my making it possible to discern the different parts with fair ease. If you fancy warm earphones with thick and fairly deep bass, then you won’t be disappointed – at all! The Whizzer Kylin A-HE03 are in fact characterised by an emphasis on the lower frequencies, which extends to the deeper area and creates a strong bass section. It’s not downright dark, but it’s surely close to that definition: bass is always under the spotlight in the mix and sometimes takes the light away from other parts. This is true independent of volume, as even at low listening volumes bass is powerful and forward. This means bass can be really fun to listen to: with the right music, it’s just sheer fun. Talking about quality, depth is good as the Whizzer Kylin A-HE03 reaches 20 Hz being audible and then reaches full volume between 30 Hz and 40 Hz, with the peak being around 60 Hz. This makes bass especially shifted towards the lower area, setting it apart from the usual approach that entails a mid-bass bump. Control is barely sufficient, as bass is often leaking over mids and covering them. Speed is also not its best quality, as bass often appears sluggish and not able to convey a sense of impact and fast recover from it. Midrange is heavily V-shaped: it sounds both warm and bright, as there is a large emphasis on the lower and upper areas with the middle being recessed. This condition is such that midrange is heavily unbalanced, with instruments being in either of the two ends sounding forward and even overdone and instruments being in the middle that are hard to hear. In general, midrange is recessed and it sits noticeably behind bass. The lower section is often overwhelmed by bass, while the upper one is sometimes exaggerated and sounds a bit sharp and fatiguing. Despite this, there are recordings that sound unexpectedly good – Jimi Hendrix’s Foxy Lady sounds really good, if we only take midrange into consideration (as bass is excessive). In terms of detail, midrange is not the best I’ve heard and, on the contrary, it is a bit lacking – as is in speed. Treble is detailed, up to an extent. The tuning privileges the lower part of the range, though the extension allows for a good bit of air – it does not sound monotonous nor compressed. It surely sounds “warm”, though it counterbalances that with a good sense of air and openness. Whizzer managed to get the detail almost right, though, as you can hear a good amount of tiny details in the music and this affords the whole section depth and immersivity. As treble is not as emphasised as bass, it often sits behind that; luckily, it is however always easily heard and it is never fatiguing at all. This is probably the best area of the Kylin, though it is a bit in contrast with the general laid-back approach of the rest of the sound. BGVP DMG: the DMG have less prominent bass, although it is still emphasised, with comparable depth; midrange is less recessed and therefore easier to listen to, also having better balance; treble is a bit less emphasised, but also less airy. Detail is better in both bass and midrange, but comparable in the treble area. Soundstage appears to be wider, and imaging is more precise. Instrument separation is definitely better. Tin Audio T3: the T3 is the opposite of the Kylin under many points of view. They’re neutral with a touch of brightness, which is everything the Kylin is not. Bass is deep but not as prominent and definitely more controlled, midrange is very well balanced with a bit of added emphasis on the upper region, and treble is more extended and airy. Detail is also better on the whole spectrum. Soundstage is much wider on the T3, and imaging and instrument separation are in fact better. Shozy x Neo CP: the CP are much more midrange-centric, and also much more balanced than the Kylin. Bass is less emphasised and less deep, midrange is more even and treble is a bit flatter with similar (if not even better) extension. Combining all of these factors makes the CP less fun, but way more accurate. In terms of detail, the CP is much better, but it has less physicality in the bass section due to the use of balanced armatures instead of a dynamic driver. Conversely, the CP has more speed that results in more accurate and more controlled bass. Soundstage is wider on the CP, which also has better imaging and instrument separation. There’s this expression in Italian which is “tutto fumo e niente arrosto” – literally, “all smoke and no roast”. It is the equivalent of “all talk no action”, and it’s used to indicate that something (or someone) appears much better than it really is. That’s not exactly the case here, as the Whizzer Kylin A-HE03 are more than decent; the issue at play is that they are not as good sonically as they are in terms of appearance and build. They are phenomenal in terms of build quality and design, but they have a few flaws in the acoustic department that makes them less desirable than they would be otherwise. let me be clear: they’re not bad by any stretch. They’re just not as good as one would expect.